Oprah's Million Dollow Neighbourhood reality show selects Vancouver Mortgage Broker Jessi Johnson, AGAIN! 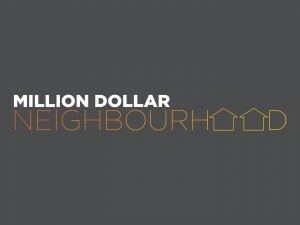 The team at Force Four Entertainment were kind enough to invite us back to Oprah’s reality show Million Dollar Neighbourhood for Season 2! The first season proved to be such a success it pick up North American syndication right away and they launched Season 2 almost immediately. For those who didn’t catch all of Season 1, the city of Aldergrove reached their goal of 1 million dollars. Pretty impressive if you ask me! Season two will be filmed in Bowmanville Ontario just outside of Toronto and is expected to hit television screens January 2013. The mortgage optimization process created within season one is now applied to all of our existing clients. If you would like to learn more about this fantastic process, just ask. We are honoured to be brought back and hope you enjoy the show!